Holidays in Acoteias – perfect if you yearn for peace on the beach and a flavour of traditional Portugal. For this is a tranquil spot – no rowdy nightlife, no big development, simply a picturesque village tucked just inland from a glorious stretch of sandy beach. With a Blue Flag for cleanliness, Praia de Falesia has oodles of appeal – fine sand butts up against red, sandstone cliffs, and the water is clear and tempting. Whether you're travelling on a cheap holiday to Acoteias or pushing the boat out on an all inclusive holiday, most of the accommodation is found just outside the village near the beach. You won't have far to carry your beach mat! 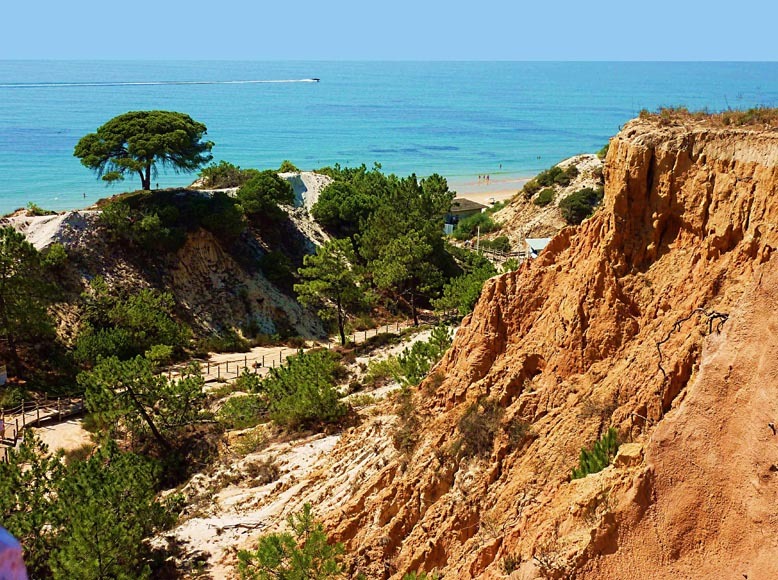 Those on a self catering holiday will love the handful of excellent Portuguese restaurants that pepper the village, though if you had something a little more lively in mind, then it's only 15 minutes to Albufeira and Sao Joao. There's more entertainment to be found in the hotels. Try the Hotel Falesia – perfect for couples and right next door to a golf course. Or the Sheraton Algarve – with a children's club and a beachside location it's a great choice for families, and with nine restaurants, there's scope for romantic meals too. Wherever you stay, you can be sure that a holiday in Acoteias is just that – a holiday in every sense.